My yearly diary is my very own lifeline. I always have a mid year to mid year one because when I was at uni it was what made the most sense. Now I've kept up the tradition as it's nice to have that little six monthly reset: I set new goals and ambitions at New Year and re-motivate myself at around this time with a fresh new diary. Normally I'm a Paperchase kinda gal when it comes down to them. I've had ones from Paperchase for the past four or five years running. They have pretty front covers and a good amount of space for each day. They've been exactly what I wanted and needed each time. BUT, this year I just couldn't find one that I fell in love with. You see, if I'm going to be writing in this every day for a year, it's not something I want to feel 'meh' about. When I did my CBT course, I found writing lists, ticking things off and making notes of what I've done really really helpful. Now, every day I write a to-do list and jot down the note-worthy things off of it in my diary. It honestly helps me so much to keep on top of chores, blogging, work and everything in between. See what I mean about the lifeline thing now? I wasn't exaggerating. 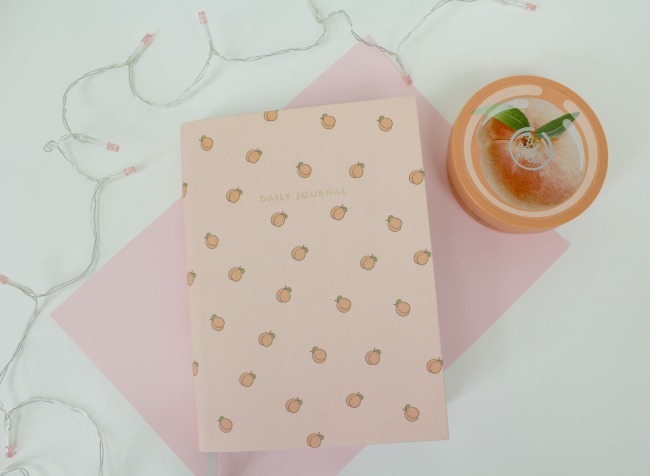 Anyhow, to cut a very long story short (soz guys), despairing at the lack of year-worthy diaries in Paperchase I was surprised to find the kind of daily planner that I've been lusting after for years in Urban Outfitters (you can find it here). And it was on sale. What. A. Day. It's covered in tiny little peaches, which are beyond cute, but the inside is just something else. You get a whole page for each day. There's a section to write in the day's objective. It's got a timetable from 6am to midnight. There's a lined to-do section. There's three objectives and projects boxes at the bottom to fill out. It's actually perfect. It's got the level of organisation that I've always imagined a bullet journal of mine would have, without me having to go to the effort of making a bujo. This planner is proving to be so helpful for my mental health. I find it much easier to prioritise tasks and the notes section is amazing for popping important info in. I've got all my bills, direct debits and key events written in it, as well as more trivial details like whether it's bin or recycling week, doctors appointments and driving lessons. Of course, now that I've bought my dream journal, Primark have come out with a really good dupe for it, so keep your eyes peeled! It was on sale in Urban Outfitters, so cost around the same as a Paperchase one! Ooh I haven't popped into The Works recently, I really ought to! 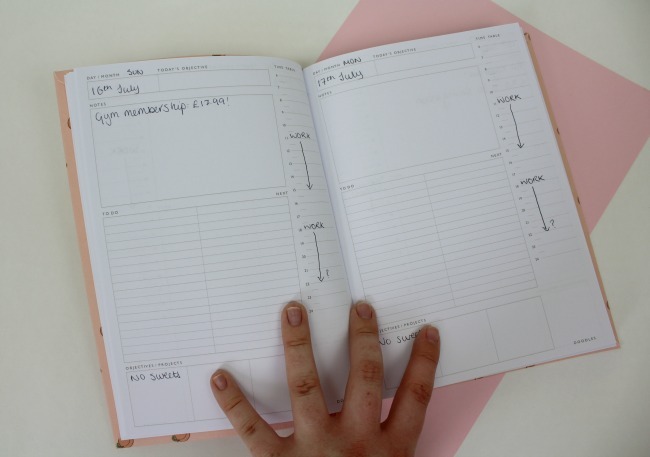 I don't understand how anyone buys a Jan-Dec planner when they're at uni! It makes much more sense to do it this way haha. Definitely check out Ohh Deer, WH Smith and Paperchase, they have some fab ones! I write in mine every day too, it really helps me to keep on top of things! Okay Steph, you have inspired me. I bought the same journal to use on my "freelance" day each week, but I've been in kind of a weird headspace recently and I've been telling myself when my Passion Planner for next year arrives it's going to give me the focus I need. I think I'm going to use this in the meantime. I love those things but I find I'm just not busy enough to warrant owning one.